Fresh, sweet tomatoes are one of the best things about summer. When I was little, my family used to go tomato picking out on Long Island. I remember picking tomatoes from the vine and eating them like apples- they were so sweet, they didn’t need anything else. Although I haven’t been to a tomato farm in years, I still enjoy the wide variety of tomatoes present at the market this time of year. And when the season comes to a close, I like to roast them in the oven to preserve their summery goodness a little longer. 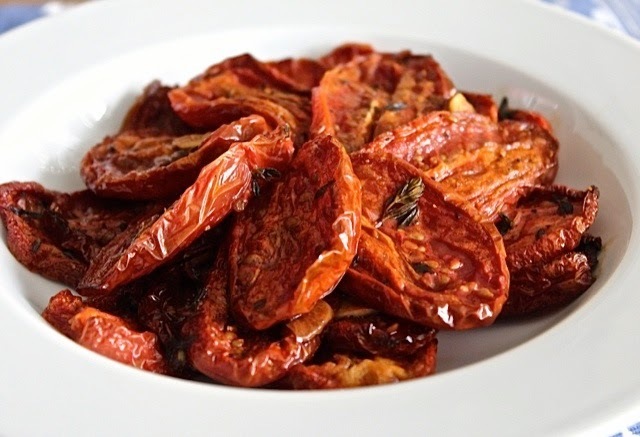 Slow-roasting tomatoes in the oven caramelizes and concentrates their flavor. The process takes a little time (a couple of hours in the oven) but it’s all hands-off time so you can pop them in the oven and do something else while they cook. 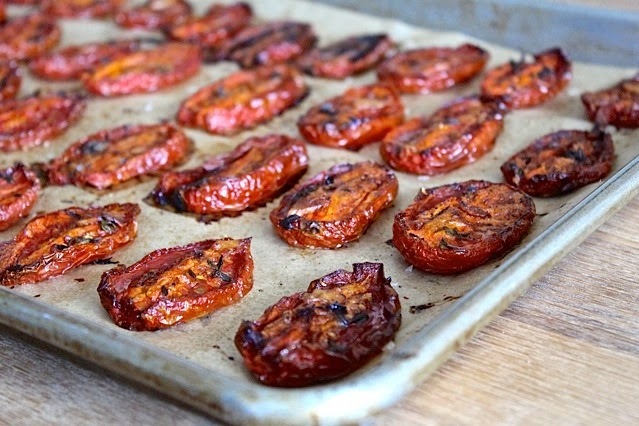 As they roast, the water in the tomatoes will evaporate, they’ll shrink in size and turn brown along the edges. And the most important part is that the flavors will concentrate. When you take a bite, they will be a little crispy on the outside but still juicy on the inside and they will pack an intense tomato punch. Since the tomatoes take time to make, I usually roast a large batch of them. Plus, I never can stop myself from popping a few in my mouth when they come out of the oven so I always like to make extra! The tomatoes will keep in the fridge for about a week. Or you can freeze them for a couple of months and enjoy their sweet summer flavor when the warm weather is long gone. 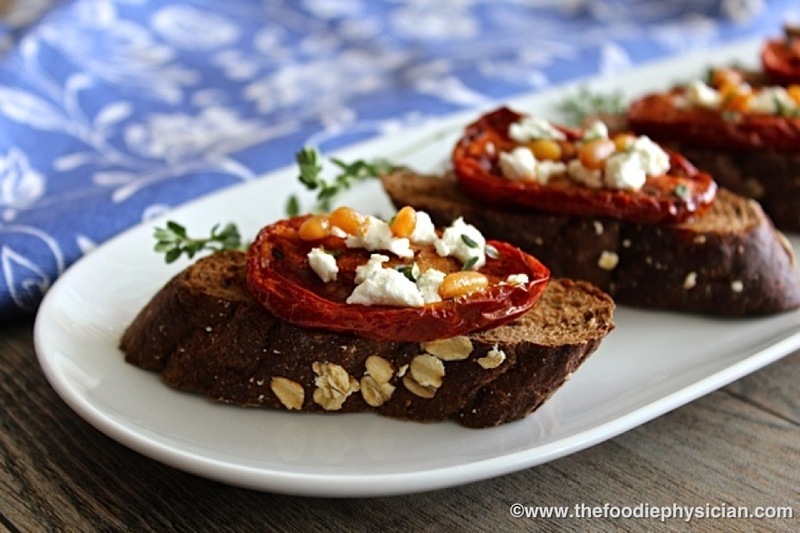 Slice the tomatoes in half lengthwise. For larger tomatoes, slice into quarters. Place the tomatoes in a bowl along with the oil, garlic and thyme and toss to combine. 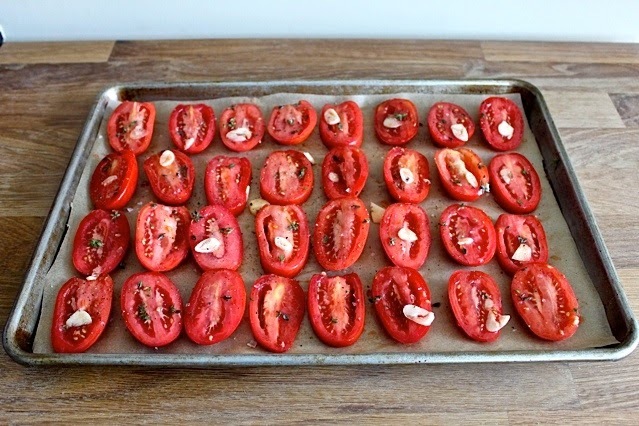 Line a rimmed baking sheet with parchment paper and arrange the tomatoes on the sheet cut side up. Season the tomatoes lightly with salt and pepper (the flavors will concentrate as the tomatoes cook so go light on the salt). Bake in the oven until the tomatoes are browned and collapsed but still a little soft and juicy in the center, about 2 ½ hours. Let the tomatoes cool slightly before serving. Tomatoes can be refrigerated for about 1 week or frozen for a couple of months. What a perfect time for this recipe. I bought a lot of plum tomatoes (end of season) for making tomato sauce. 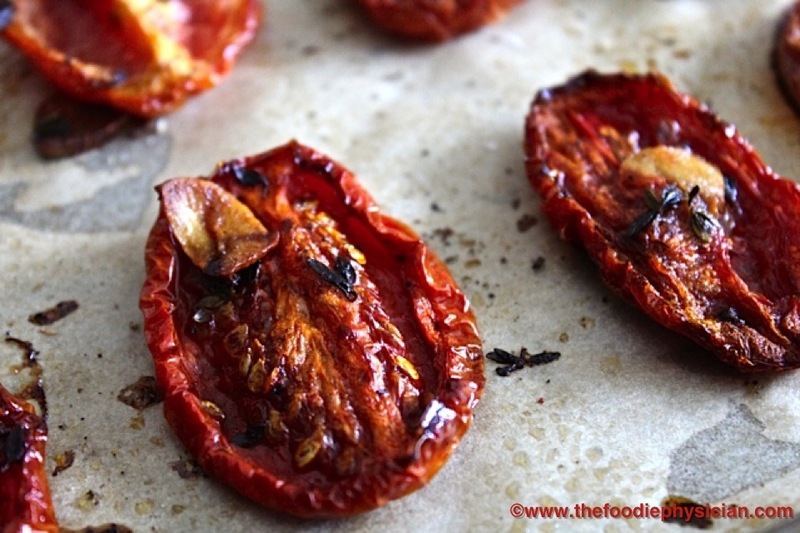 I can try to make and save some as roasted tomatoes.Thank you for the idea.